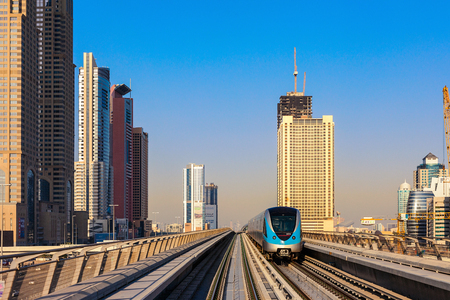 A train pulls away from a Metro station in Dubai. It’s also fully air-conditioned: both the stations and the trains. This is made possible by having doors on the platforms as well as the trains. This entry was posted	on Sunday 29 October 2017 at 09:06	and is filed under 2017, UAE. You can follow any responses to this entry through the RSS 2.0 feed. You can leave a response, or trackback from your own site.